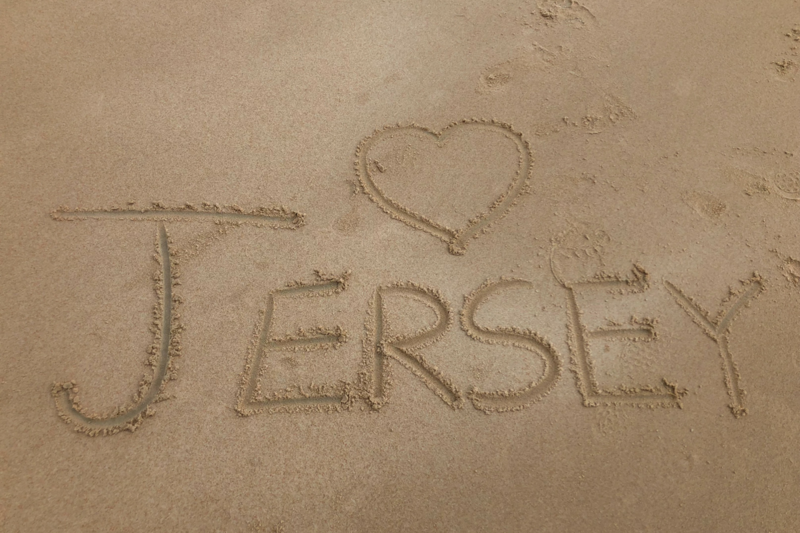 I haven’t been to Jersey since I was twelve so the excitement that we all felt the night before was huge! Even though we only live an hour away from Poole, we set our alarms early so we would have enough time to jump out and see the boat come in. 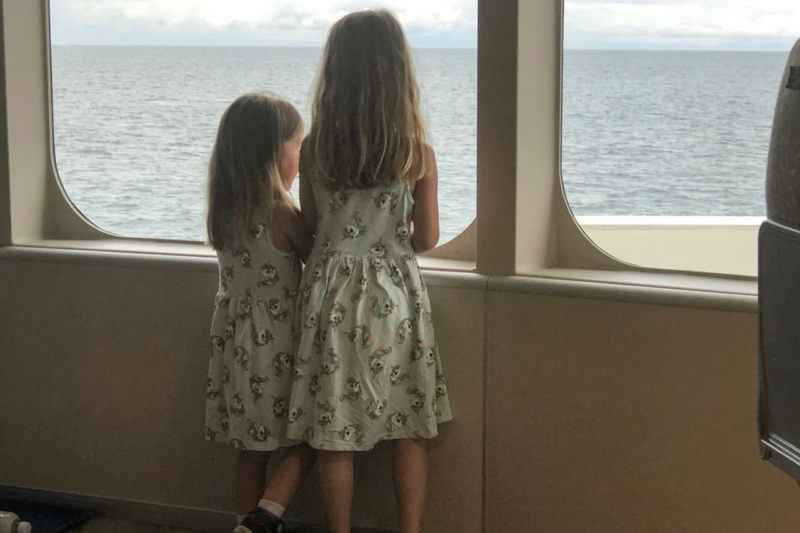 The kids couldn’t wait to arrive and while they’ve been on the Isle of Wight ferry before, our Condor Ferry was triple the size. It was going to take around 4 and half hours so we packed all the usual suspects to try and keep the price down. This included the iPads, a full-on packed lunch (on a budget of course) and some drawing pads. We arrived early but certainly weren’t the first. I Imagined check-in to be like an airport and take ages but it was actually really quick. 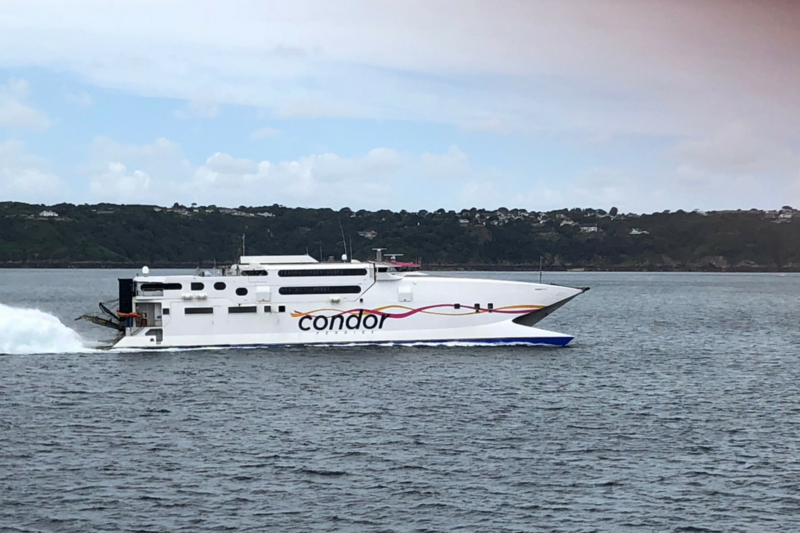 As soon as the kids saw our condor Ferry they went crazy and demanded to get a closer look! We watched the cars drive in and it blew all our minds watching the staff direct everyone in safety. I had the buggy as The Little One has a thing against walking currently and was kindly asked by the staff if I needed help. I thought that was a great touch as trying to carry the bags, buggy and control the kids was no mean feat. Up on the deck we were in Ocean Plus which offers a coded door and luxury recliner seats. 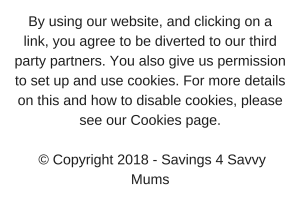 Having that added bit of security was a lifesaver and I’d pay for the upgrade myself as it stopped them both running out every thirty seconds. The floor space in Ocean Plus is amazing. Our seats were the second row back at the front and my word, we could see everything. This really made the journey for us to be honest as having so much room for the kids to play and spot the ships made the four hours fly past. We loved exploring the ship so having our own reversed seats was really worth it for us. There are loads of seating areas and bars to get light snacks or refreshments. We brought our own food but topped up the girls with the normal treats which I thought were very reasonably priced. We found the kids zone quickly which has bean bags and soft benches around the side with a film playing. It was really busy actually with kids and parents and was a huge hit with mine as well. 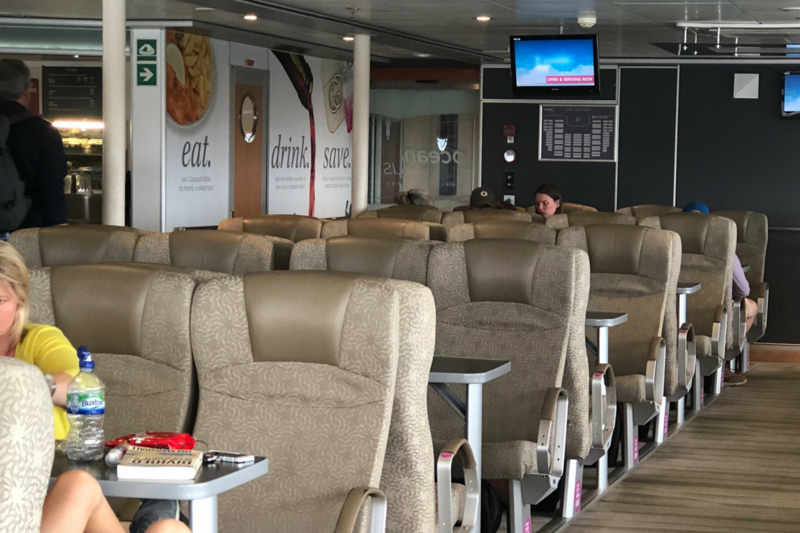 Like all Savvy Mums, I hit the duty-free shop quite hard and brought some chocolate for the journey home the next day and some soft Condor Ferries plush toys for the kids. What I didn’t realize before this trip was that Condor Ferries stops at Guernsey to and from Jersey. It was amazing to watch our huge ship dock and look out into Guernsey. The kids spotted Jersey first and nothing could contain their excitement. We watched our Condor Ferry dock and made our way to the hotel, which was only about ten minutes away from the dock. 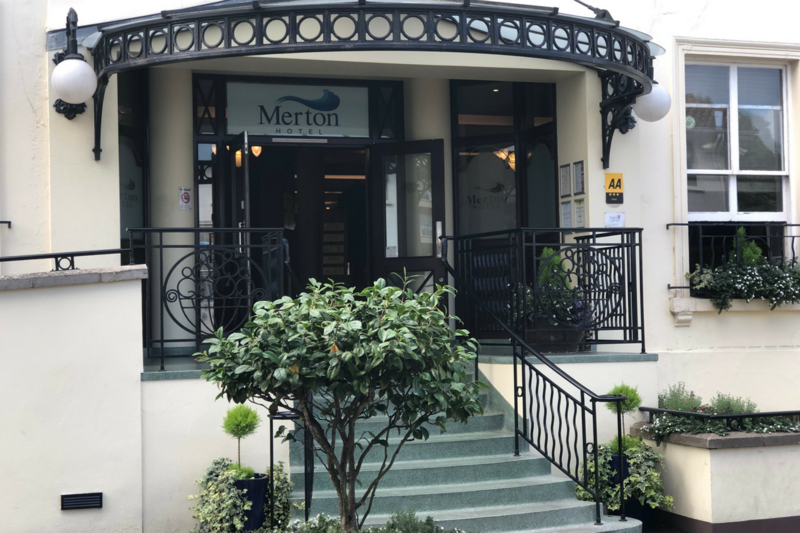 We stayed at the Merton Hotel Jersey in St Heilier and hand on heart it was the most gorgeous hotel we have ever stayed in! We had a Superior Family Room with an interlocking room with bunk beds for the kids. There was so much space, with each room having a television, table and chairs and coffee making facilities. The best it though was huge, and I mean huge, bathroom with shower and bath. 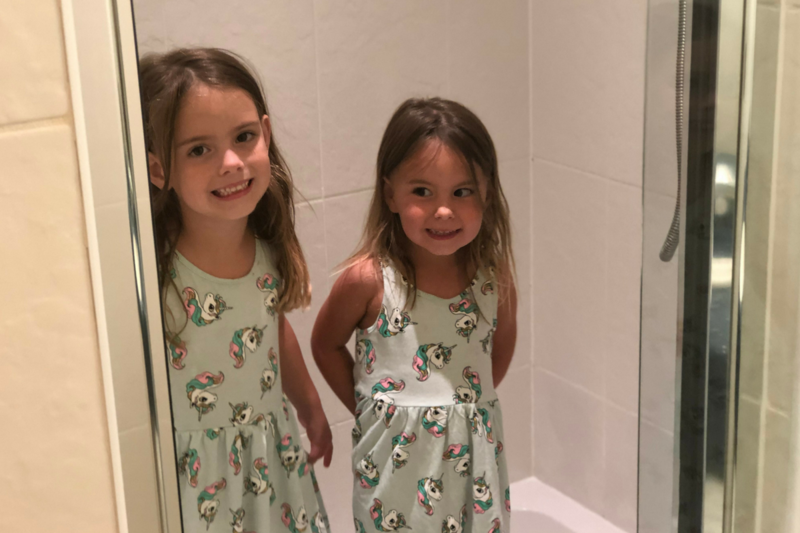 The kids screamed with delight when they saw that they could both fit in the shower together. We went for a explore around the hotel and decided to use the hotels on-site Aquadrome. It was out of this world with the pools being a nice 27 degrees plus the water slides and spa pool kept The Hub amused. At the end of the inside pool is a small swim-through door that gets you straight into the outside pool that offers a spa pool, activities and a kids play area. After almost two hours in the pool, we managed to drag the kids out and suggested an easy Pizza Hut dinner. 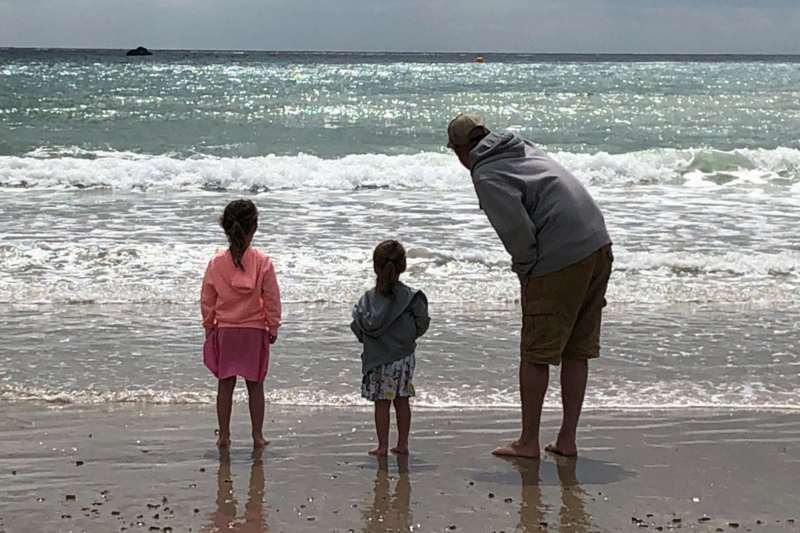 It was only ten minutes away back by our Condor Ferry and meant that the kids could see out into the sea one last time before bed. We could have stayed watching the boats all night but we wanted an early start so we headed back for a good night sleep. Luckily the kids fell asleep quickly and I got to have the longest bath of my life our amazing tub. I didn’t want to ever leave! The next day we had a lovely breakfast at the hotel and hit the Aquadrome again. 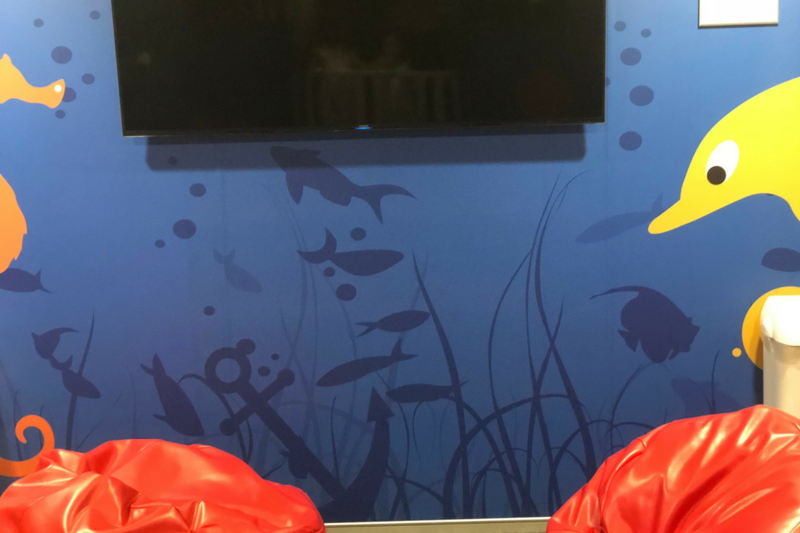 The kids had such a fab time the day before that they couldn’t stop talking about it, and I thought it was amazing considering it is included in your hotel stay price. After another two-hours, we headed to L’Ouziere and had lunch at Watersplash Beach Bar and Diner. 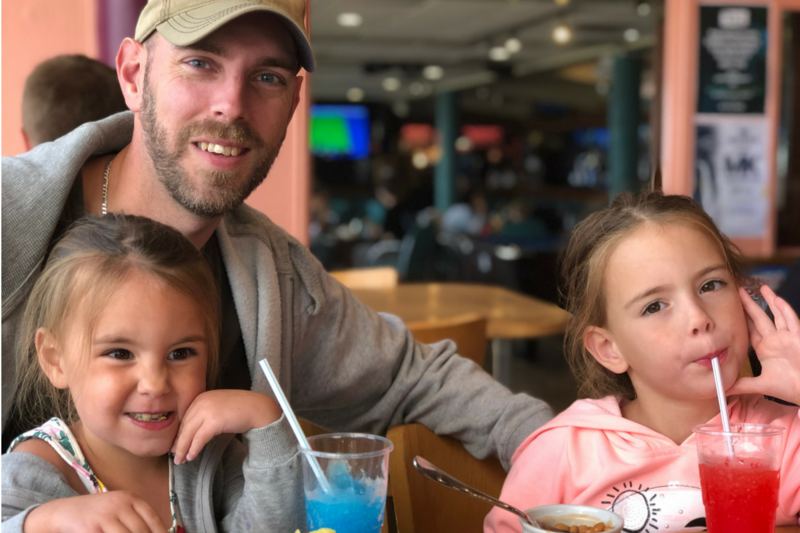 Now, as you all know my kids are mega fussy eaters but they woofed down a plate of chips and beans each with a Slush Puppy. 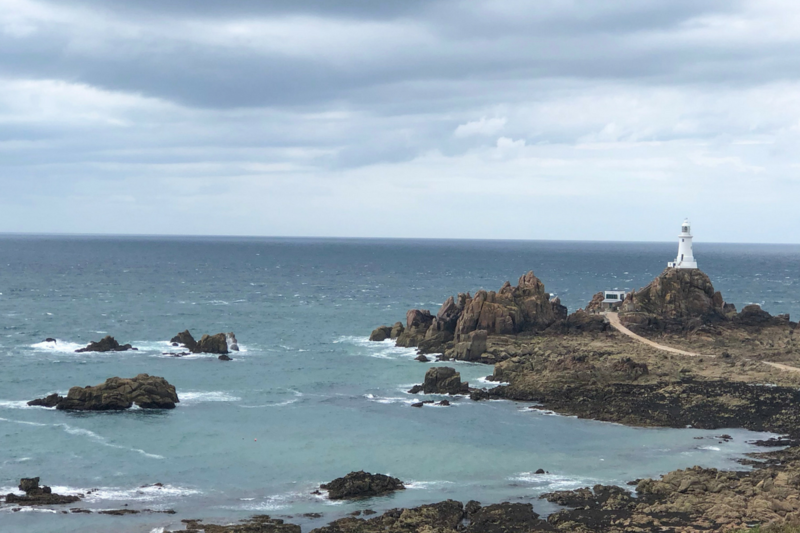 We then drove to St Brelade to take in the breathtaking views before carrying on to St Brelades. To say the beach was stunning doesn’t even cover it. The tide was out and the kids sprinted off to find the sea and have a splash. We spent the rest of our afternoon digging holes and sandcastles. I didn’t want to leave! You know you’re having a great time when you start to plan your next trip there and then. We had an amazing time in Jersey, but with our Condor Ferry leaving soon, we decided to pack up and head back to St Helier. We had some dinner in a nearby restaurant but the kids couldn’t wait to get back onboard. 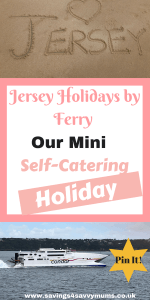 They really saw the ferry as part of our holiday and even asked when we were going again! We truly had a fantastic time and we wouldn’t hesitate to book again! !